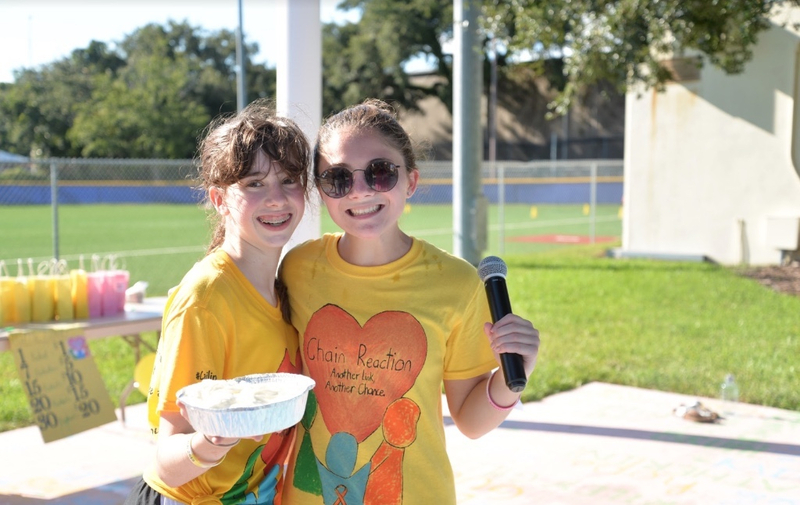 On Friday, AHN freshmen Laura Caroline and Chloe organized the second annual Chain Reaction field day fundraiser. 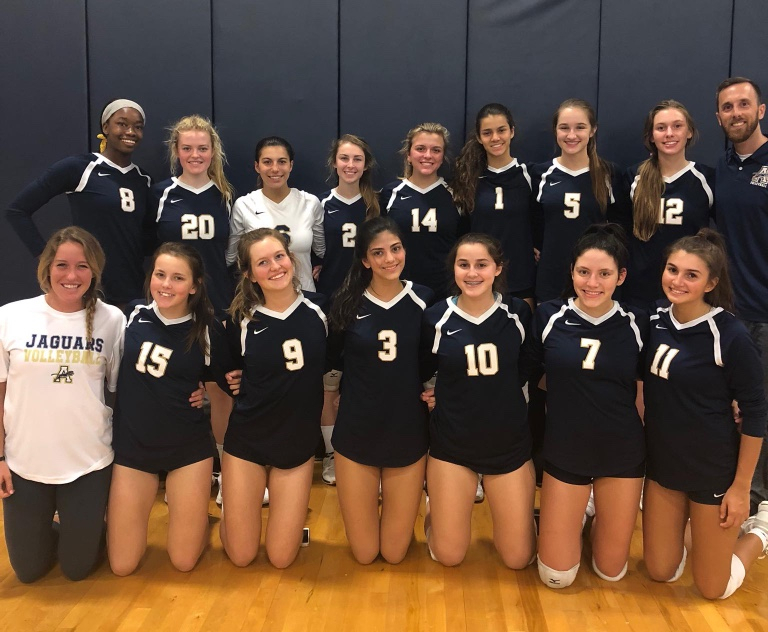 Inspired by their classmate's strength in her battle with cancer, the girls launched the event last year to raise awareness and funds amongst their peers for pediatric cancer. Through T-shirt, raffle, food and entry sales, the student-driven event raised a resounding $6,400 for the Cailinstrong Foundation, in memory of Academy 8th-grader Cailin Cannella. 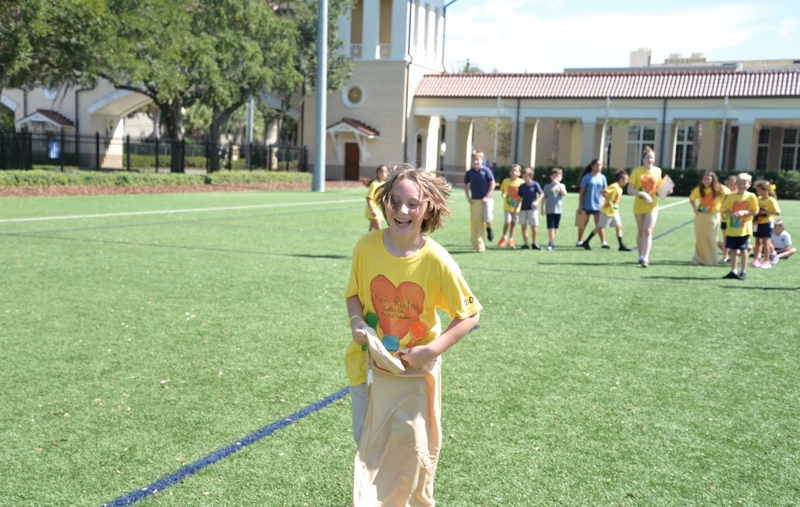 Highlights of the event included water balloon dodgeball and a teacher Pie in the Face! I was happy to see our Academy community come together in support of such an important cause and am reminded of how blessed we are as a school to have such supportive students, families, and faculty members. Join the Academy and the Florida Attorney General's Office for a presentation regarding online safety tomorrow, Friday, September 21st, from 11:30-12:30 in the Brady Center. Parking is available on the West Drive. The program specifically targets middle and high school students, however all parents are welcome to attend. The presentation will address the dangers, risks, and tactics used by online predators and how to report cyber crime. Please feel free to bring a lunch. Click here to register. Campus Ministry Is Offering a New Service Club For Students in Grades 6-8! Click Here to Learn More About "Helping Hands." This year, leading up to the Feast Day of Blessed Marie Rose, our foundress, the Academy high school students will be participating in our first "Rose Week." Students will take part in events throughout the week to learn more about the SNJM Sisters and what it truly means to live our the charism. As part of a service component to the week, the high school is collecting school supplies and backpacks to give to children in need. Click here to see the list of needed donations! On Monday, Marilyn Alvarez, the Hispanic Liaison for the Hillsborough County Sheriff's Office, will be speaking to the high school students at convocation. Alvarez is responsible for bridging the Sheriff's Office and the Hispanic Community, utilizing her Spanish language skills for effective crime prevention and educational programs. She also serves as the HCSO spokesperson for Spanish media. In 2017, Alvarez was chosen the Hispanic Woman of the year by the Tampa Hispanic Heritage. She is visiting the Academy in celebration of Hispanic Heritage Month, which will be recognized around the Academy throughout the month. AHN will be holding a free, optional practice PSAT for sophomores and juniors on Saturday, September 22nd, from 8:30 a.m.-12:00 p.m. Revolution Prep will provide the testing and scoring. Please register here by Friday, September 14th. Students should bring an approved calculator, #2 pencils, water, and a snack. Feel free to contact the College Counseling Office if you have any questions. This year's Spike and Splash event will be held on Wednesday, October 3rd. All proceeds will be split evenly between breast cancer and pediatric cancer research, with funds being donated to Moffitt Cancer Center and the National Pediatric Cancer Foundation. Come out and support your fellow Jags and support two great causes! The AHN Arts Department is Hosting an Information Session Tonight on Their Upcoming Study Abroad Opportunity in France. Click Here to Learn More. 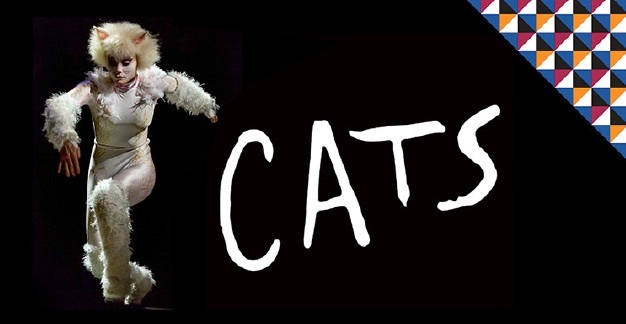 CATS The Musical Auditions Are Friday, September 28th and Monday, October 1st in the Scarpo Family Theatre. Please Email Mrs. Kimbler No Later Than September 27th to Sign Up. The Next Planning Meeting for Trunk-or-Treat is Tuesday, September 25th at 8:30 a.m. in the 3rd Floor Board Room. Check Next Week For Event Registration! The Dads Club is hosting the 2nd grade for breakfast at Goody Goody on Wednesday, September 26th, starting at 7:00 a.m. Remember, school starts at 8:45 on Wednesdays! Head to Hyde Park for quality time and to meet other dads and kids in your child's grade. The Dads Club will give out special gifts to the kids and you may just see our mascot there! Did you know there are over 6,000 matching gift companies nationwide? You might work for one of them! When you make a gift to AHN, you could possibly double or triple your support by taking advantage of a matching gift program. The purpose of a matching gift program is to encourage employees, both active and retired, to support their communities by stimulating and magnifying their gifts to non-profit organizations. Check with your HR Department if your company has a matching gift program! 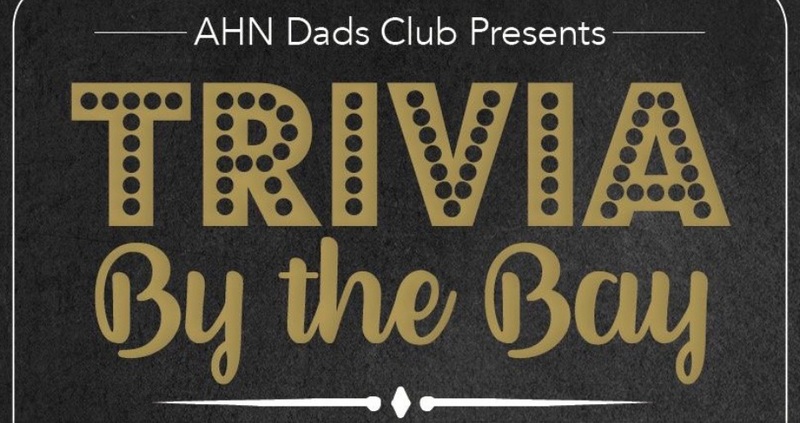 The Dads Club is hosting the second annual Trivia By the Bay! Form your team now and see if you can beat the reigning champs and have your name on display on the coveted trivia plaque. Prizes awarded to the top three teams. Dinner will be provided and babysitting is available for children 4+. BYOB! Click here to register by October 1st. -2nd Grade Dads/Kids Breakfast, 7:00 a.m.